This is another recipe from The Secret of Cookies by Gu Huixue. In her book she has a recipe to bake almond tuiles. Instead of using all almond flakes, I am using a mix of sunflower seeds and almond flakes. Also one of the ingredients is cake flour which I replaced with plain flour. 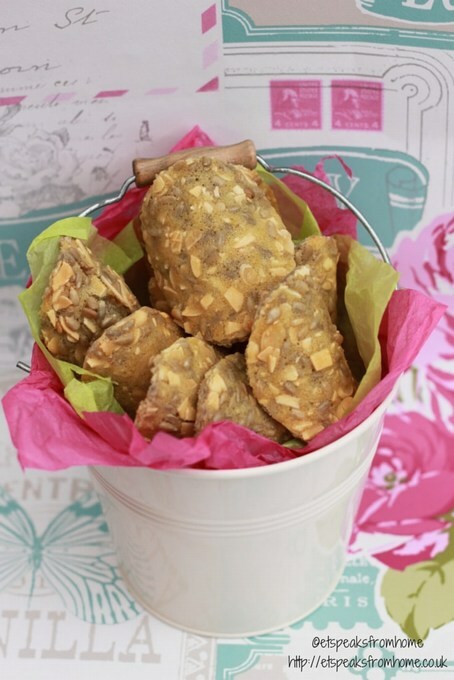 This Chinese Almond Cookie recipe is for Red Tractor #RTChallenge.